The 2016-17 NBA regular season has been one of the most historic campaigns in league history. From a statistical perspective, players are achieving feats that are either unprecedented or unseen since previous generations. With that in mind, the question over who is the current frontrunner for the league’s MVP is starting to take shape as the regular season reaches the home stretch. 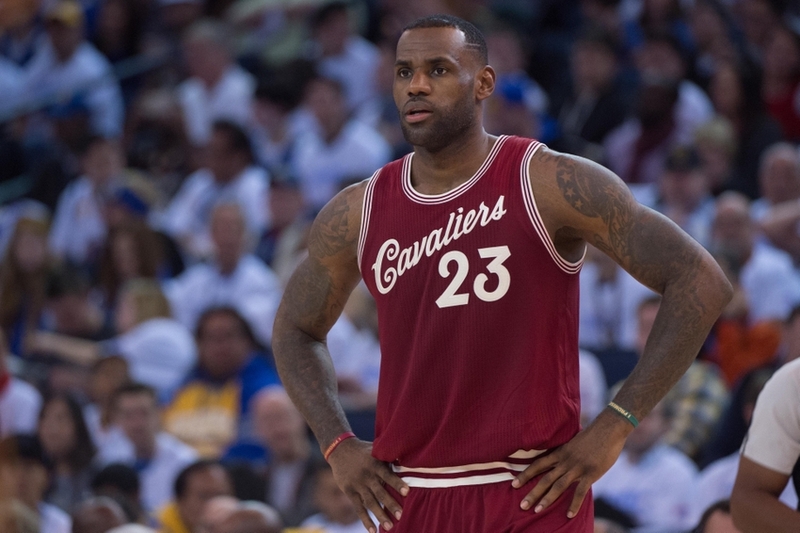 Which players are helping their cause for one of the NBA’s most prestigious honor? Find out here, with the candidates, 1-5. If you’re good enough, you’re big enough. 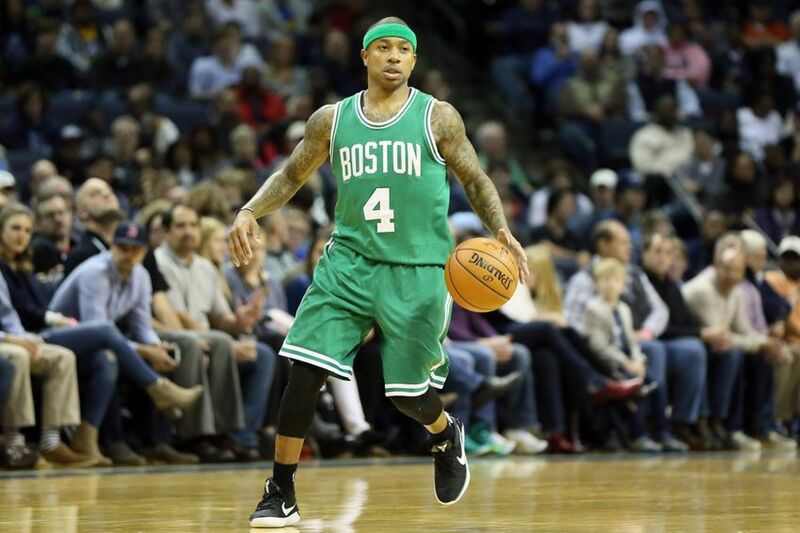 Isaiah Thomas is damn good and has played bigger than almost anyone at his position this season. Boston’s floor general is enjoying undoubtedly his best season of his career – averaging 29.1 points and six assists per game with a 46.2 FG% and 38 3P%. Most notably, Thomas’ wizardry in the 4th quarter has catapulted himself into the top portion of the league’s MVP race, averaging 10.2 points per game in the fourth (highest for a player in the past two decades). Boston could be a playoff team without Thomas, but he pushes them into the upper echelon of Eastern Conference teams. The Celtics are flush with quality all-around players, but Thomas is the only member of the roster who can consistently create his own offense. All-season, Thomas has exhibited a myriad of ways to score; whether that’s coming off screens to bury three-pointers over the out-stretched arms of a defender, pushing the ball from end-to-end in a relentless fury, or finishing at the rim against a series of tall, athletic bigs while absorbing contact. The 5’9 point guard can do it-all, which says a lot for someone who was drafted 60th overall in the 2011 NBA Draft. Despite underwhelming seasons from the likes of LaMarcus Aldridge and Pau Gasol, the Spurs are still on pace for 63 wins. And a reason for that has been because of the play of Kawhi Leonard. This season, Kawhi’s relentless on-ball defense, sheer athleticism, and an evolving offensive game has lifted him into the discussion as one of the game’s top two-way players. Through nearly 70 games, Leonard is averaging career-highs in points (26.2 per game), assists (3.6 per game) and in addition, he’s provided consist shooting: 48.5 FG% and 38.1 3P%. However, much of the reason for Leonard’s sudden MVP outburst has come in the form of rebounding, facilitating and shot-blocking. 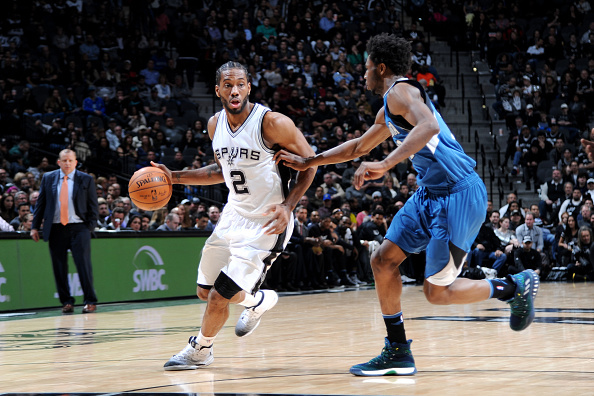 Since the start of March – a month in which the league MVP race is typically at its highest point– Kawhi has averaged 6.5 rebounds (one full point more than his season total), two steals and a 99 defensive rating. For what’s it’s worth, Leonard continues to thrive as part of the Spurs’ system, by playing not only elite defense but keeping the flow of San Antonio’s offense in sync throughout the game. Minutes restriction? LeBron James has never heard of such a thing. After coasting during the early months of the 2016-17 regular season, Cleveland’s superstar has ratcheted his case for his fifth career MVP. Since February, James is logging 37.7 minutes per game, the most since his 2010-11 season with Miami. During this recent stretch, Bron is averaging 27 points, 9.4 assists, 9.1 rebounds per game while maintaining a deadly efficient 58.9 FG% and 42.2 3P% – that such average is the best at his position currently. Despite the glorious nature of the Cavaliers’ season and record, it’s been a case of James or bust for a vast majority of this season’s campaign. While resting has been a topic of conversation in Cleveland, when James has been on the floor, his value to his team is unparalleled. Between his production, his efficiency, and his influence, James has been one of the most valuable players in the NBA the entire season. First off, it’s important to note that while Westbrook may not be elevating the Oklahoma City Thunder to the ranks of the elite like most candidates, without his services however, OKC wouldn’t even be sniffing the playoffs. This alone makes Westbrook the most valuable to his team, and at the top of the league in general. The numbers speak for themselves: Westbrook has been filling up the box score all season, pouring in 32.6 points, 10.9 rebounds and 10.8 assists per game. In total, Russ has racked up an incredible 54 double-doubles (second most in the league), and a league-best 36 triple-doubles – that’s five shy of tying Oscar Robertson’s 41 for most in a season in 1961-62. 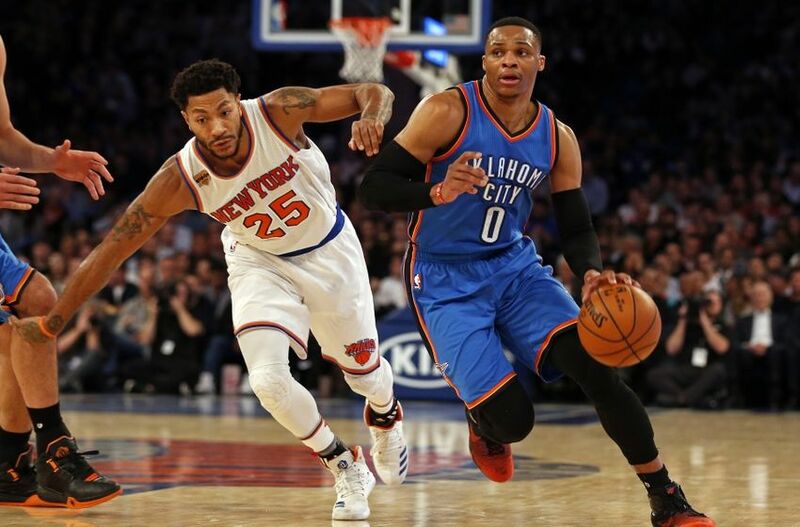 Through it all, it appears that when Westbrook is at his best this season, the performance of Oklahoma City follows. And when Westbrook isn’t up to par, the Thunder are negatively affected. Case in point, during the 36 games that Westbrook has recorded a triple-double, the Thunder are 30-6 — good for a win percentage of .833. That would not only put Oklahoma City on pace for just under 68 wins, but it would give it the best record in the NBA. When Westbrook fails to record a triple-double, however, the Thunder are 12-24 – good for a win percentage of .333, which would be the fourth-worst record in the NBA. Considering Westbrook getting a triple-double is the difference between Oklahoma City being elite and in the gutter, it’s hard to knock the numbers. In fact, it gives Westbrook’s season averages even more power than they already have. The Houston Rockets transformed their entire offensive identity in 2016-17, making it more of a priority to shoot perimeter shots. 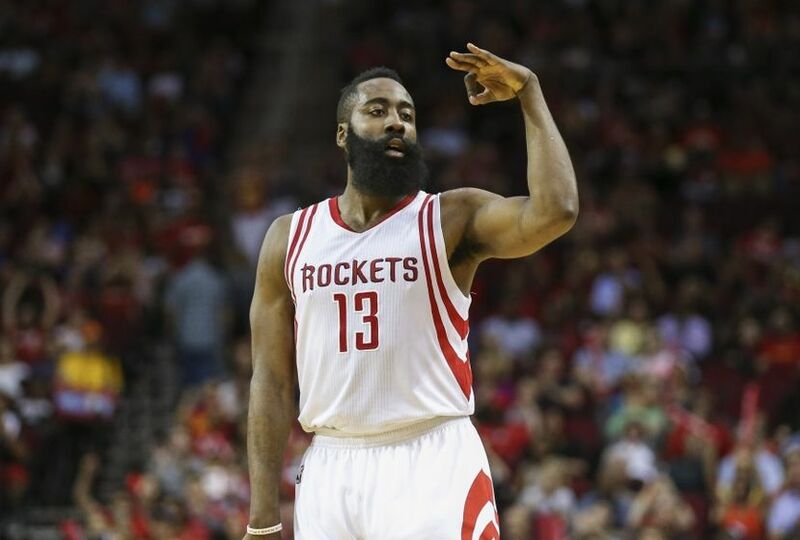 This season, Houston leads the NBA in 3PA’s (40.3 per game) and 3PM’s (14.7 per game). This has translated into an offensive explosion for the Rockets, who are first in the league in Off Rtg (115.4), second in PPP (1.11) and fourth in pace (99.8). Their newly established “pace and space” offense has also made their best player adapt better to his surroundings. Previously a shooting guard, converted point guard James Harden is now at the heart of Houston’s elite offensive system. On the season, Harden is averaging 29.4 points, 11.3 assists (most in the league) and eight rebounds per game, including the most double-doubles (58) for any player in the league. Yes, more than the proclaimed Russell Westbrook. Since early January, Harden has been a key cog in continuing the Rockets’ push for a top seed in the West, becoming the first player in NBA history to achieve two 50-point triple doubles in a season. With that said, Harden is on pace to become the first player to average 29 points and 11 assists per game since Tiny Archibald in 1972-73.